Established in 2014 and launched in 2016, Clubhouse is a project management platform designed for software development. 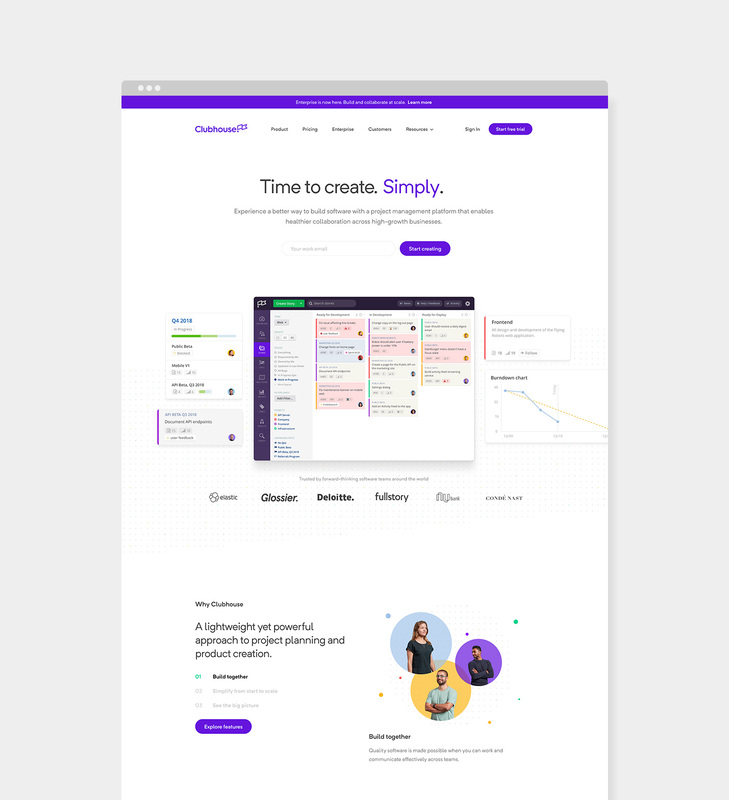 Created as an alternative to industry powerhouse, Atlassian’s Jira platform, Clubhouse was originally optimized for smaller teams and has attracted over 1,000 companies to use its product. 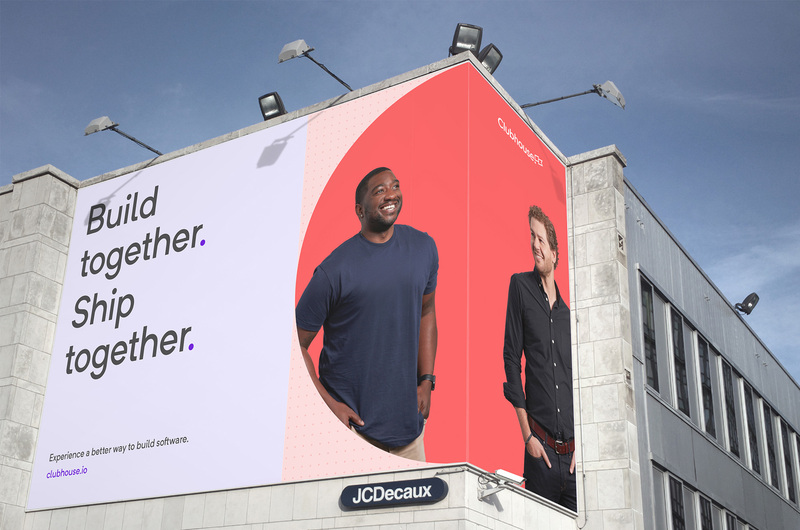 Now, looking to take on even more of Atlassian’s market share, Clubhouse is offering an enterprise edition for larger teams (or as its original smaller team clients scale up) and has introduced a new identity designed by Ueno. Clubhouse asked us to create an identity that captured a simple (not so simple) emotion, joy. We all at one point played in a clubhouse and we all at some point (minus younger siblings) celebrated a victory — the identity embraces the joyful nature of our relationship with the company’s name, while also tactically addressing Clubhouse’s offerings of creation, collaboration, and team wins. The old logo was terrible, not so much in its execution — although that too — but in how much it looked like a small real estate company instead of a software platform. Nothing about the old logo said “We will help you build software”. The new logo falls neatly in today’s trends — happy colors, geometric sans serif, simplicity — but in doing so it is instantly more appropriate. The nice-enough wordmark is very well punctuated by a waving flag icon that harkens back to the nostalgic idea of marking a kid’s clubhouse with a flag but even if you never played in a clubhouse with flags on them, the flag can denote marking an achievement, planting one on the ground as if you had just climbed a mountain or, for developers, if you just went live with a new feature or major change. The abstract design of the flag also serves a double function as a period, which provides a nice surprise and twist on the minimalist approach. The few range of applications shown are pleasant enough. The use of the flag icon as a window is not novel but it works well in this case and the layouts are all engaging with the logo at the top, something big at the center, a pay-off at the bottom, and plenty of white space. The layouts peppered with colorful dots are fun and a similar gesture is nicely integrated in the icons below. We also made a mascot. Yep, new to us too. 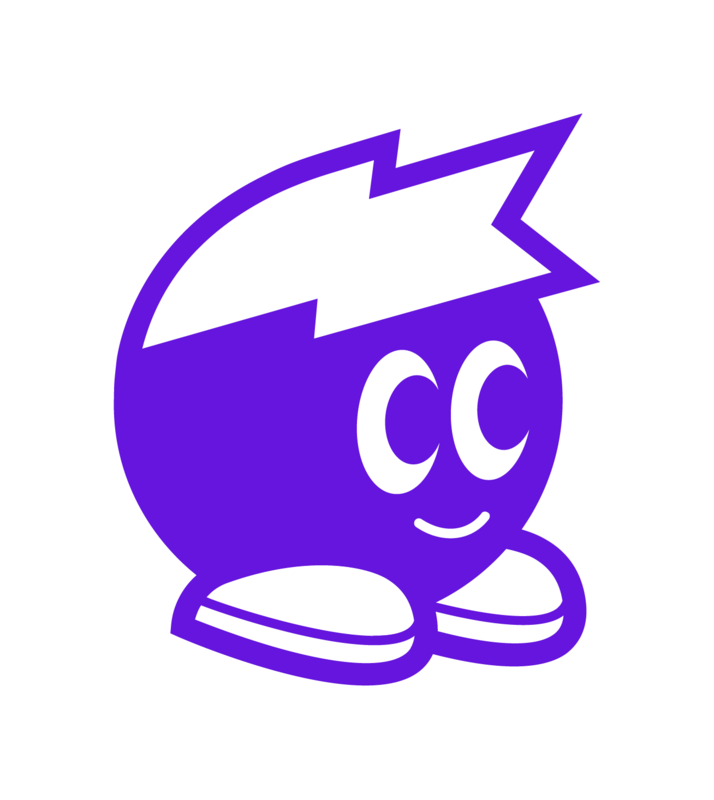 Just as Clubhouse exists to guide software development teams toward their best work, we developed a mascot that embodies (literally) the identity and attitude of the company. Part sherpa, part indispensable teammate, it knows the way toward harmonious, productive work. The mascot is fun and aptly builds off of the icon by being the dot of the flag and its hair being the shape of the flag. It beats the clip from Microsoft for sure but it also gives Clubhouse a pretty cool sticker for its employees to put on their laptops. 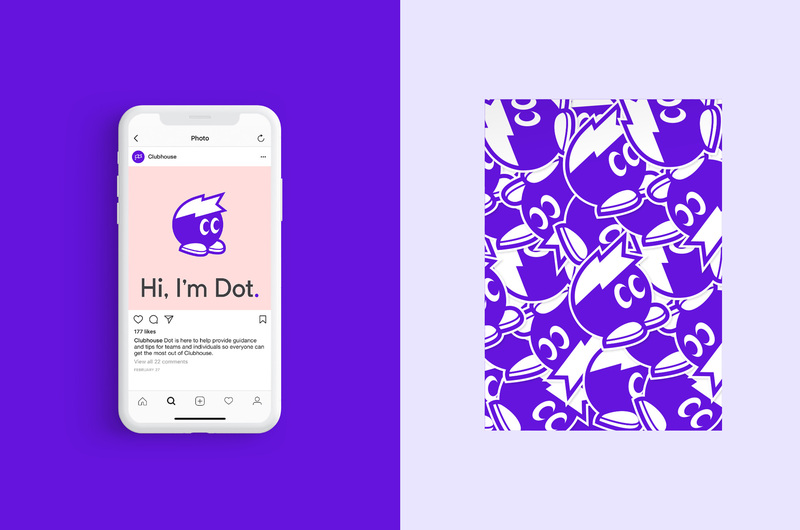 (It looks like the company added a smile to Dot, as the first image I show is from their press kit and the second mock-up image is from Ueno — definitely prefer it without the smile.) Overall, this is a solid update and even though it mostly ticks off today’s main approaches to identity design, it is well done and appropriate while providing one or two pleasant surprises. Thanks to Hamish Snow for the tip. Established in 2014 and launched in 2016, Clubhouse is a project management platform designed for software development. 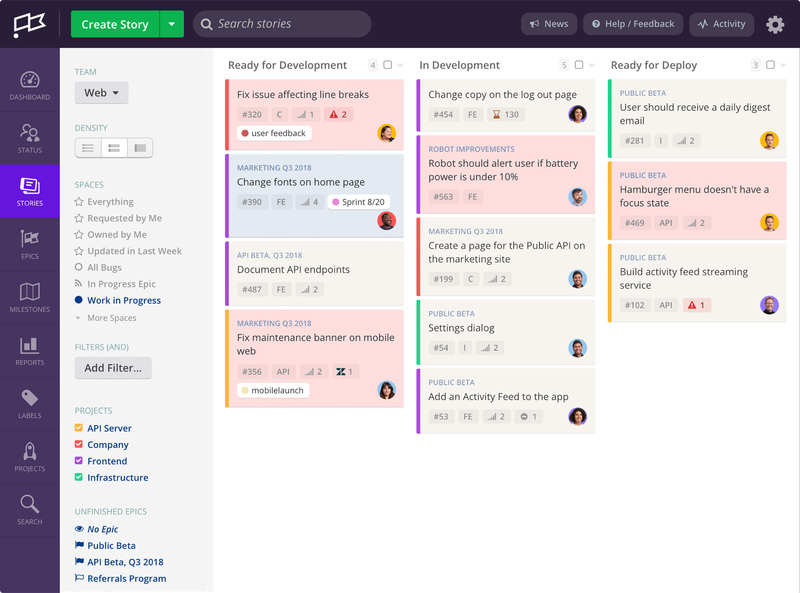 Created as an alternative to industry powerhouse, Atlassian's Jira platform, Clubhouse was originally optimized for smaller teams and has attracted over 1,000 companies to use its product. 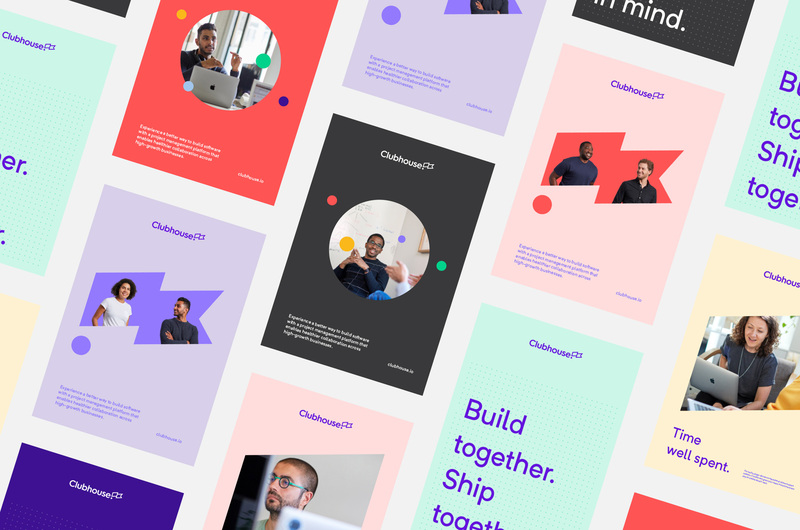 Now, looking to take on even more of Atlassian's market share, Clubhouse is offering an enterprise edition for larger teams (or as its original smaller team clients scale up) and has introduced a new identity designed by Ueno.